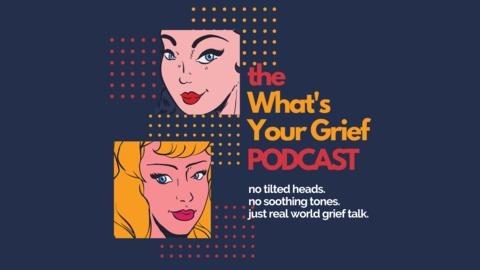 In this podcast series Eleanor Haley and Litsa Williams, the two mental health professionals behind the grief website What's Your Grief, seek to leave no stone unturned in demystifying the complicated and sometimes crazy experience of living life after loss. 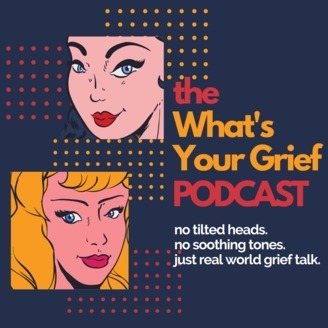 One digestible topic at a time, Haley and Williams distill topics ranging from grief theory to coping. Grievers and grief professionals alike will find their approach practical, relatable, informative and engaging. Grief is sad and confusing, but your grief support doesn't have to be. With over 150 million social media users in the US alone, we can no longer conceptualize grief support and support systems without considering online social interaction. As the co-founders of multiple online spaces, we believe online platforms provide grieving people with powerful tools for connecting and coping in the wake of loss. However, just like in real life, online spaces and interactions can, at times, be difficult to navigate.